We all want to find our favorite spot to sit and reflect on the day.....and this just might be it! 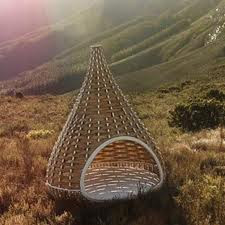 Dedon Collection has just come out with the 'Nestrest' by Daniel Pouzet & Fred Frety. This lounge seating piece is about 7' wide and 9'tall. 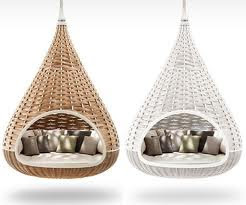 It can be hung in a tree or loggia or placed in the ground on a matching base. It's simply irresistible!